Ready to Release Excess Weight and Learn to Love Yourself? Discover your true self. Shed excess weight and rediscover or become the healthy, fit, vibrant, active you. Your released weight will not find you again and yo-yo dieting will become a thing of the past. Using a variety of tools and a program she has developed, Michelle will help you reframe all your negative and faulty beliefs about yourself, food and exercise to create the necessary changes for a healthier lifestyle. You will learn why and what causes food triggers and how to change those things. Permanent changes are needed for lifelong success. You will enjoy your new life and everything you do to maintain your health and you will be more relaxed doing it! More importantly, you will be successful. 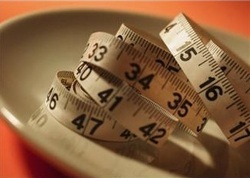 An excess of 20 pounds requires a physician's referral to ensure you are healthy and able to do physical activities. If your doctor has diagnosed a medical condition that can be alleviated by excess weight release and you have been directed to do so, your complete hypnosis fees qualify for a 100% tax credit under IRS regulations as of 2003 . Information is found in IRS Publication 502. Be sure to check with your professional tax consultant or the IRS itself to be certain you qualify. Body Image and Weight Release work best in a series of sessions, beginning with a minimum of three. Since hypnosis works differently for everyone, the exact time needed is unknown. You already know consciously how to reduce by making healthy food choices, performing physical activities and drinking lots of water. Why are you still struggling? Your subconscious mind needs to be primed to make the correct choices. Hypnosis is the tool to do that for you. The decision ultimately is yours. An initial series of 6-8 Weight Release sessions is recommended for lasting success, however, one session at a time is the key. Hypnotic mind band hypnosis / or virtual lap band hypnosis (bariatric hypnosis) is also available for clients, but many people are just as successful following a more traditional yet personalized hypnosis program.